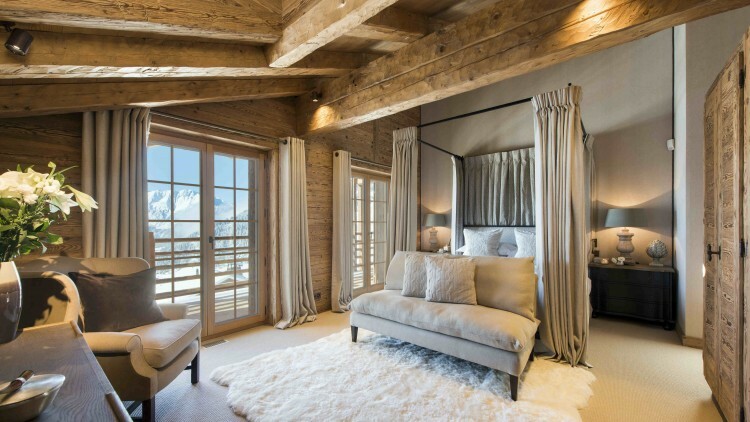 We have just finished lighting these stunning premium chalet interiors in Verbier designed by Nuttall Home. 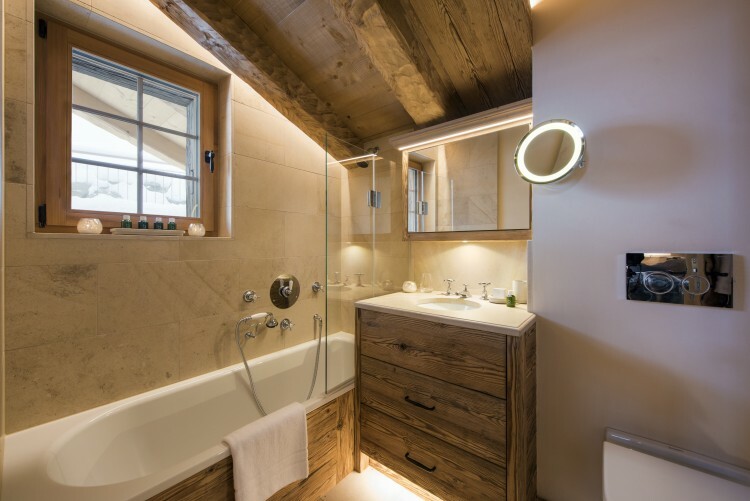 This is a new chalet designed using traditional techniques with wooden ceilings, beams and joinery and we were able to incorporate lighting in some interesting ways. The style is laid back luxe and we used layering of downlights, uplights and lamps to create a cosy atmosphere. No expense has been spared to provide the ultimate comfort for guests and the lighting plays a key role in achieving this. Above a series of Polespring downlights are used to high light key features and cross light the centre of the coffee table. Lucca uplights add impact at the two entrances either side of the fireplace. 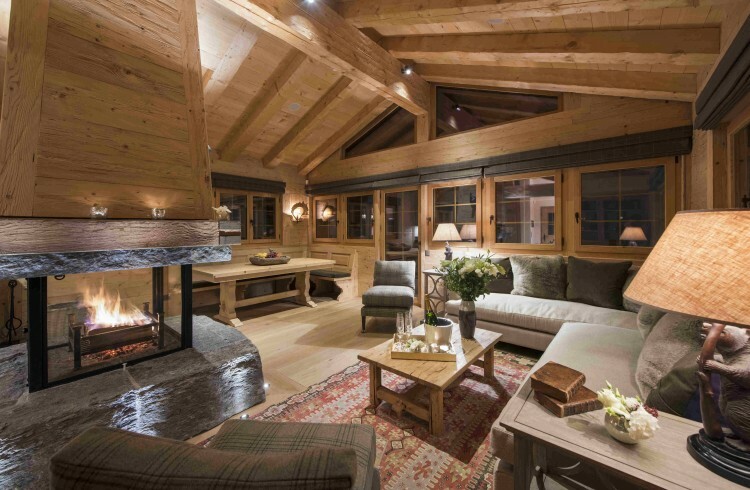 In this cosy beamed sitting room, we used Minos spotlights to add infill light to the chalet interiors and emphasised the textured fire surround with Riena angled uplights. A combination of Metal Squares and Polespring downlights created dramatic impact in this hallway with Lucca uplights creating a focal point at the end of the corridor. 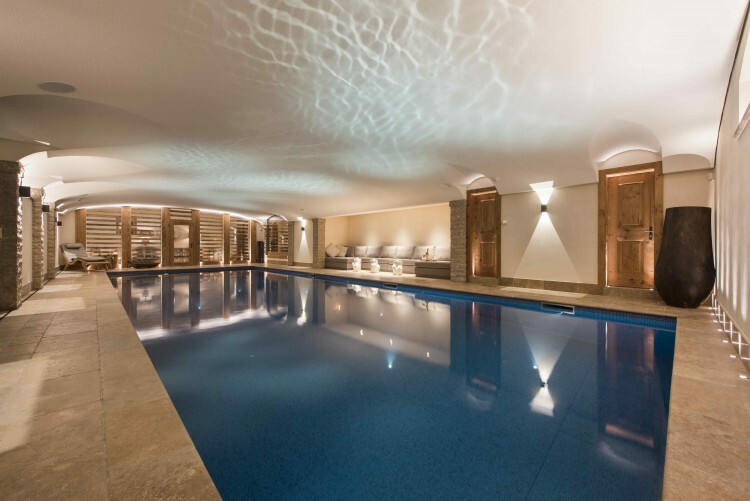 The lighting was layered in this chalet swimming pool using Lucca uplights to the back wall and door ways, architectural up/downlights to the walls and Polespring LEDs to create a soft effect in the seating area. Fibre optics were specified for use in the pool and create interesting patterns on the ceiling as the water moves. 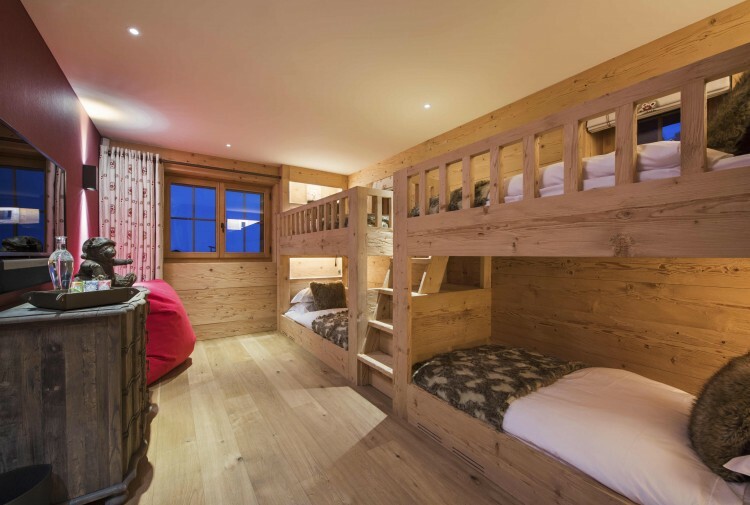 In the beamed bedrooms, the chalet interiors were lit with a combination of Minos Spotlights and Cama bedside reading lights throughout. In the master bathroom, Minos spotlights added sparkle to the bath. Contour HD27 was used to create a floating effect both above and below the vanity unit and also as an uplight above the beam by the window. Under cupboard lights were used to add light to the basin area. In the bunk room, Contour HD27 strip was cleverly concealed in the joinery to act as a reading light in this confined space. The shape of the beamed bathroom was also emphasised using Contour HD27 concealed in the woodwork and below the vanity unit. Under cupboard lights provide further light to add sparkle to the basin. 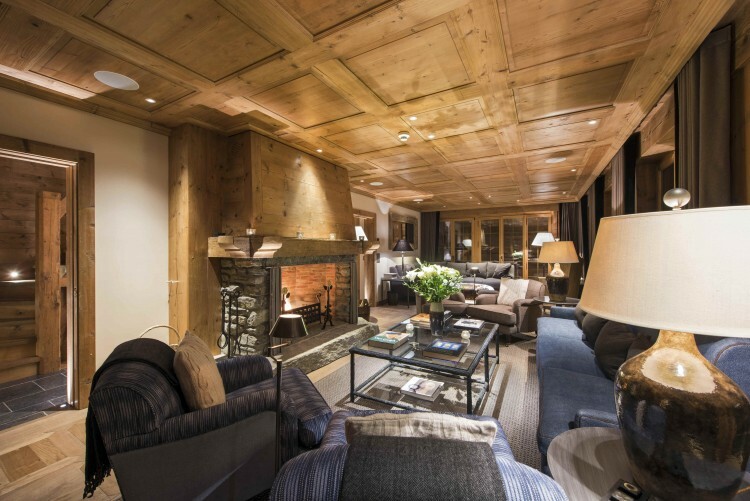 This chalet is available to rent from Ski Verbier Exclusive.